You won’t see me standing in line to buy the latest Apple or Samsung phone, but I do try to stay up to date with the latest mobile phone technology. That means I’m often either buying or selling a gently-used handset. And whether I’m the buyer or the seller, I want to know the full story behind the phone in question. That means checking its IMEI. IMEI is shorthand for the phone’s International Mobile Equipment Identity, a digital profile that contains contains critical information about the handset, including whether it has been reported as stolen. A good place to get that information is IMEI Checker, a website and iOS mobile app that can look up the status of most phones by either entering or scanning the phone’s IMEI number. For most popular phones, you can find the IMEI number by entering a code from the keypad or finding it under a system information menu. 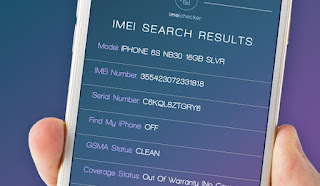 When you the number it into the app or website, IMEI Checker responds with a list of information such as the phone’s model, serial number, warranty status, purchase date, it’s initial carrier and whether it is locked to any particular carrier. 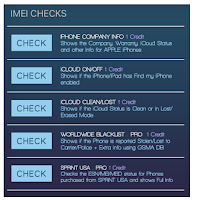 IMEI Checker is a free download in the iTunes App store. 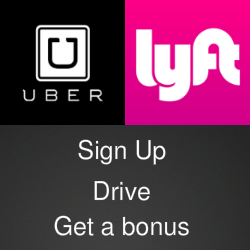 The fees for reports vary depending on how much information you request. 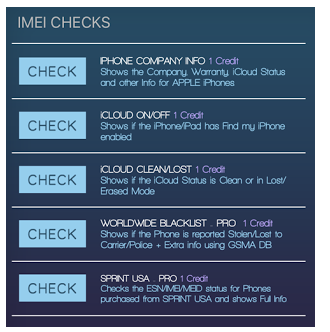 For more details, check the IMEI Checker website.